Many people desire to be touched by God in some way when they attend a worship service or gathering. The Church is recognized to be a place people can be touched by God and therefore be changed by God. We are to be a people that introduce other people to the reality of God’s love and power. We are to be a people that love Him, intimately know Him and ACCURATELY represent Him so that others can anxiously desire the relationship we have with Him. Evidence of touching God is change. When you touch water, you get wet. When you touch fire, you get burned. When you touch God, you change. An encounter with God, one that is sincere and not synthetic leaves a mark on a person’s soul that impacts forever the way a person thinks and therefore the way a person lives. God is love and the primary change within a person is a greater desire to love people, even those who were once classified as enemies. I feel many people are yearning and longing for a touch from God. But I also believe God is longing for us to reach for Him and touch HIM. 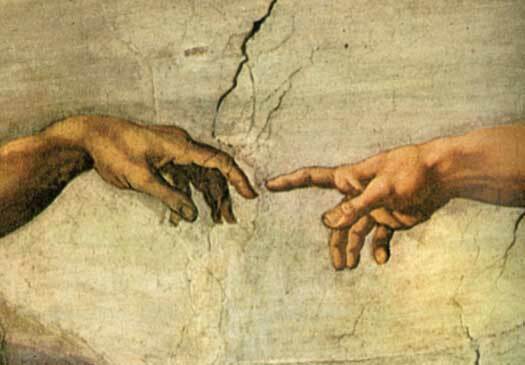 Is it possible to touch God? Previous postWhen in doubt, don’t. Thank you for sharing, All for the Glory of God in Jesus name.